As the primaries are gearing up, it’s vital that young voters become more active in the presidential election. First time voters often have trouble learning more about the candidates outside of the debates that come on television. So here are some ways to become a more active voter. Register to vote: If you haven’t done so already, there is still time to register in your state. Many students think that since they go to college out of state, they can’t vote but that is not the case at all. For example, casting an absentee vote is made available to those that will be away from home on Election Day. One thing to keep in mind is that Virginia is a voter ID state meaning that all voters need to have photo ID on them, student ID cards and passports are valid forms of identification as well. Familiarize yourself with the issues within your state: The best way to choose a good candidate is to first figure out some of the concerns that are directly affecting you. Learn about the various initiatives that your mayor and local officials are working on as well as things you would like to see implemented in the future. Once a young voter has a better understanding of the problems going on around them, the next step is to learn about the candidate’s position on that issue. Becoming aware of their campaigns and policies will help determine if this person would be a beneficial fit for you once they become president. Attend rallies: By going to a candidates rally once they are in town, a voter is given the opportunity learn more about who the candidate is, what they stand for and possibly the chance to say they met the future president. 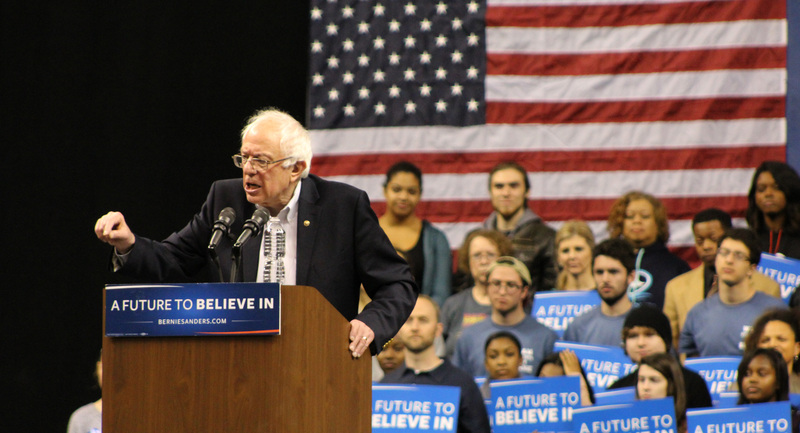 For instance, earlier this week Bernie Sanders came to the Norfolk Scope in Norfolk, Va and Donald Trump visited Regent University in Virginia Beach, Va. The opportunity to hear politicians speak in person, gives voters a better understanding of who those candidates are as a person. Getting a glimpse of their personality can also affect if you would like to see them as the face of our country. Pay attention to the campaign trail: The way that these candidates are conducting their presidential campaign are good indicators of how they will run the Oval Office. Politicians are known for doing what ever it takes to gain the most voters, however, the boundaries they are willing to cross, says a lot about their character as well as some tendencies they may exhibit while in office. A way to take the election further would be to join a campaign. In order to get involved, simply go on the candidates website and register to be a volunteer. Young voters are crucial to the outcome of this election. According to NPR, the millennial votes have the ability to shift the results of the primaries. There are ten states where millennials are a high percentage of the youth vote, those states being Nevada, North Carolina, Colorado, Ohio, Pennsylvania, New Hampshire, Wisconsin, Iowa, Florida and Virginia. The youth voting population of Virginia alone is 1.2 million. If millennials don’t go out and vote, there will be a lack in representation for all those in America. It is important that all voices are heard so it is vital that voters come out and contribute to the election.